Over the course of nearly 30 years, Jai Shroff has focused on building a successful career in the international agriculture sector. He laid the foundation for his professional endeavors with a bachelor’s degree in chemistry from the University of Mumbai. Subsequently, he accepted a position as a compliance officer with Nivi Trading Ltd. In 2007, Jai Shroff assumed the role of chief executive officer at United Phosphorus Ltd. (now UPL Limited). He has since helped the company become one of the leading agrochemical suppliers in India and the fifth most prominent company of its kind in the world, with a presence in 124 countries and manufacturing plants in India, China, France, the United Kingdom, Brazil, Turkey, and several other nations across the globe. UPL’s mission is driven by a commitment to secure the world’s long-term food supply as the global population rises and demand increases. Committed to research and sustainability, Jai Shroff has helped to integrate UPL’s services into the fields of specialty and industrial chemicals, as well as agrochemicals. Under his leadership, the firm offers a wide range of products such as insecticides, herbicides, and fumigants, as well as bio-activators, drought mitigation technologies, and post-harvest preservation solutions. The company has debuted 55 products and filed 388 patents in the past two years alone. Overall, UPL’s holistic portfolio of total crop solution products helps agriculture industry professionals to increase the productivity of farms and boost profitability. 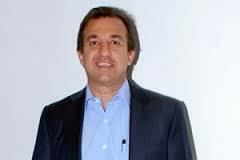 Aside from his role with UPL, Jai Shroff serves as the vice chairman of the global seed company Advanta. He has also been involved in the World Economic Forum’s Grow Africa and Grow Asia initiatives, as well as the Sustainable Agriculture and Global Food Security Initiative of the International Food Policy Research Institute (IFPRI).